My name is Kaya and I need your help! Next April, I will attempt to cross through the North Pole to support underprivileged children, challenging myself both mentally and physically. 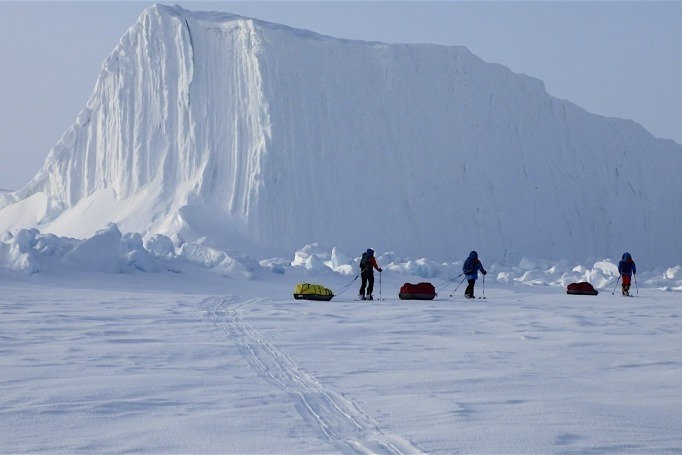 The expedition will last 3 weeks and days will be spent cross-country skiing for approximately 10 hours/day in temperatures as cold as -35°C, pulling a 40kg sled and camping in harsh conditions. When I complete this challenge, I will be considered one of the youngest woman to ever trek to the North Pole. To make it a meaningful and impactful experience, I will be raising funds to support a charity that means a lot to me. In-visible ( http://www.in-visible.org/) is a non-profit that aims to help children without life’s essential resources, by giving them the opportunity to grow up healthy, educated, and prepared to succeed and contribute to society. Please join me in this experience by donating as much as you can and/or by helping me spread the word! I am very excited about this adventure and I will be sharing it with you all!